Ninth Wave Publishing represents Jen Delyth, and other artists. 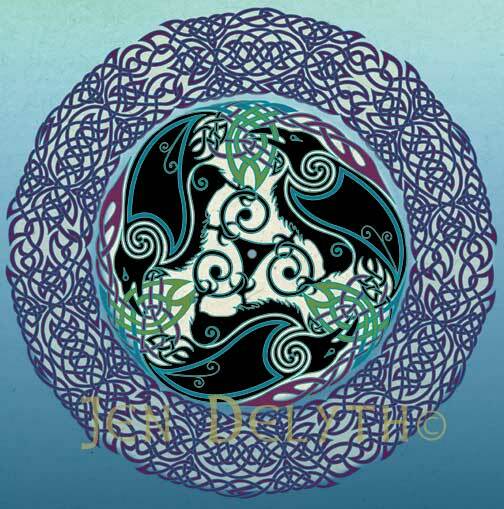 Please contact us for licensing Celtic Art by Jen Delyth to quality design companies, book publishing, music and film projects, and individual creative projects. 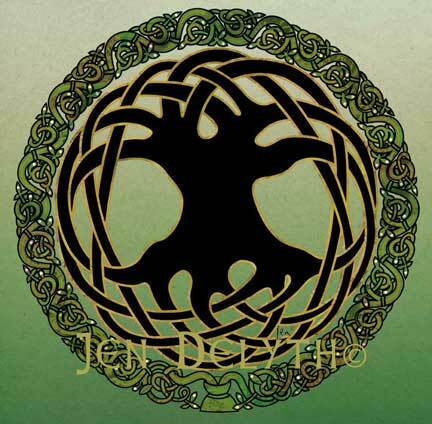 Please note that we do not license Jen's Celtic Tree of Life design for commercial company logos of any kind, as it is our own company logo. The Tree of Life is perhaps Jen Delyth's most well known and appreciated design that she created in 1990. This is an original, contemporary design, not based on any ancient or modern Celtic pattern. It is taking root as a modern Celtic Folk motif to speak of the interconnection of all living things - however, it is not a public domain image. The designs on this site are contemporary, created within the style of traditional Celtic art, but as new original creations, including our logo the Celtic Tree of Life ©1990 which is not based on a traditional design, but is Jen's original work. This design is used exclusively by Ninth Wave Publishing Inc, and represents our company, and is our legal trade mark and intellectual property Jen Delyth© 1990 All rights reserved. We also are available to license Jen's Artwork through quality publishers, and for some creative personal projects. Along with the high resolution artwork that is provided upon agreement, a formal licensing agreement is an essential part of the process and cost of professional licensing. Commissions take time, and personal attention, so only serious requests please. We do NOT license Jen Delyth's Tree of Life design ©1990 for company LOGOS since it is our own personal trademarked company logo. We understand and appreciate the many requests we recieve to use Jen's Tree of Life as a Logo, or to represent a non-profit organisation. It is not easy for us to turn down the requests we receive from creative and positive businesses and non-profits. However, it would be impossible for us to protect our design from the public domain without our strict policy in place, and we have been consistent in actively restricting use of the design to Ninth Wave Publishing & Celtic Art Studio as our company symbol since it was created in 1990. Thank you for helping us maintain the special protection we reserve for this design. PERSONAL TATTOOS - You do not need to request permission to use one of our designs as a one time personal tattoo. However, we love when we are sent pictures of your tattoos, and enjoy your appreciation when you let us know how you have interpreted one of Jen's designs as body art. It is a compliment, and we are honored by your decision to choose a positive, original piece of art by Jen Delyth.